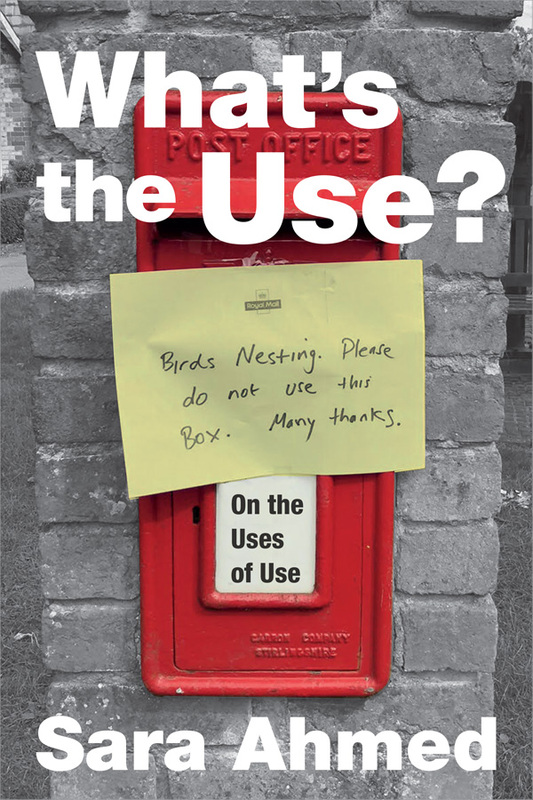 Duke University Press - What′s the Use? Home / What′s the Use? In What’s the Use? Sara Ahmed continues the work she began in The Promise of Happiness and Willful Subjects by taking up a single word—in this case, use—and following it around. She shows how use became associated with life and strength in nineteenth century biological and social thought and considers how utilitarianism offered a set of educational techniques for shaping individuals by directing them toward useful ends. Ahmed also explores how spaces become restricted to some uses and users with specific reference to universities. She notes, however, the potential for queer use: how things can be used in ways that were not intended or by those for whom they were not intended. Ahmed posits queer use as way of reanimating the project of diversity work as the ordinary and painstaking work of opening up institutions to those who have historically been excluded from them. Sara Ahmed is an independent scholar and author of Living a Feminist Life and several other books also published by Duke University Press.